A cracking ale house with a sophisticated clientele. I eat here regularly with my parents. 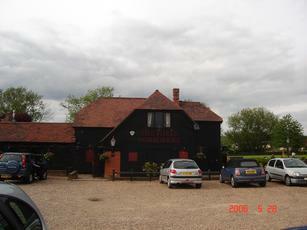 Visited this pub last night with family and although extremely busy the service was very good and the food excellent. The staff were very attentive and nothing was too much trouble. I can confirm the previous comment - somewhere you come to eat rather than drink. The food is ok, but not great - standard chain bistro-pub fayre. They generally have a couple of real ales on, but really does feel more like a restaurant than a pub. This pub is aimed fair-and-square at the family food market. Having said that it's quite a decent pub to visit for a drink when the weather is nice. Large outside seating area with some tables covered by a marque in case of rain. Always has a couple of real ales on, which are always in good condition and reasonably priced for the area. Food is typical "family fayre" but usually adequate and not too expensive.